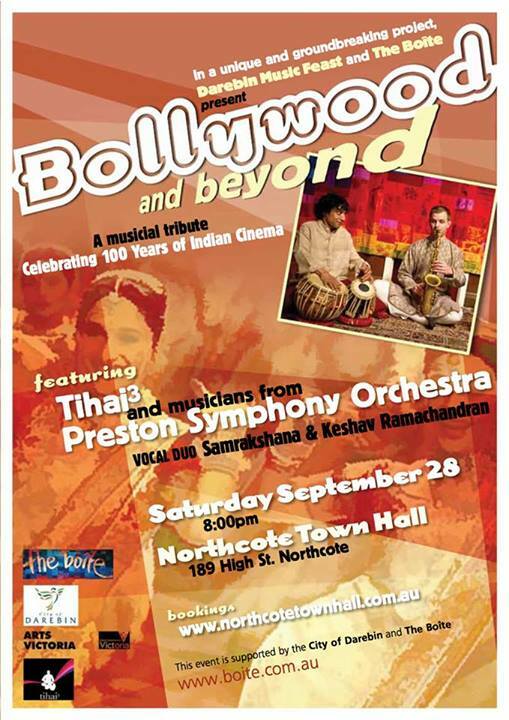 In September 2013, Tihai3, musicians from the Preston Symphony Orchestra and vocal duo Samrakshana and Keshav Ramachandran teamed up to present this Bollywood retrospective at the Darebin Music Feast 2013, Celebrating 100 years of Indian cinema. Thanks to Darebin Music Feast, Tihai3 and The Boite. © 2019 Preston Symphony Orchestra Inc.